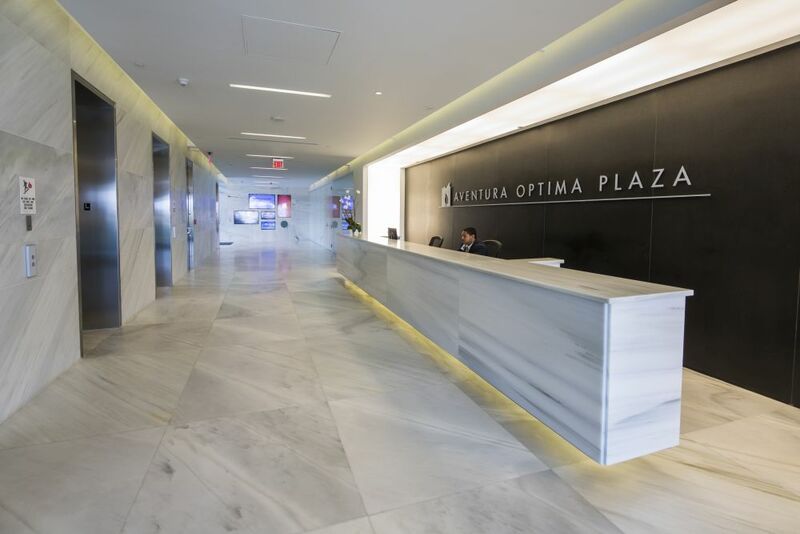 Aventura Optima Plaza – Behar Font & Partners, P.A. 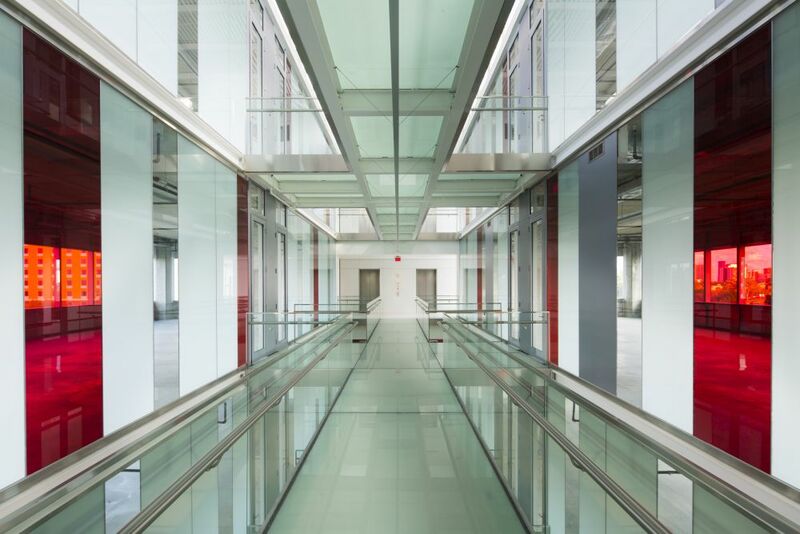 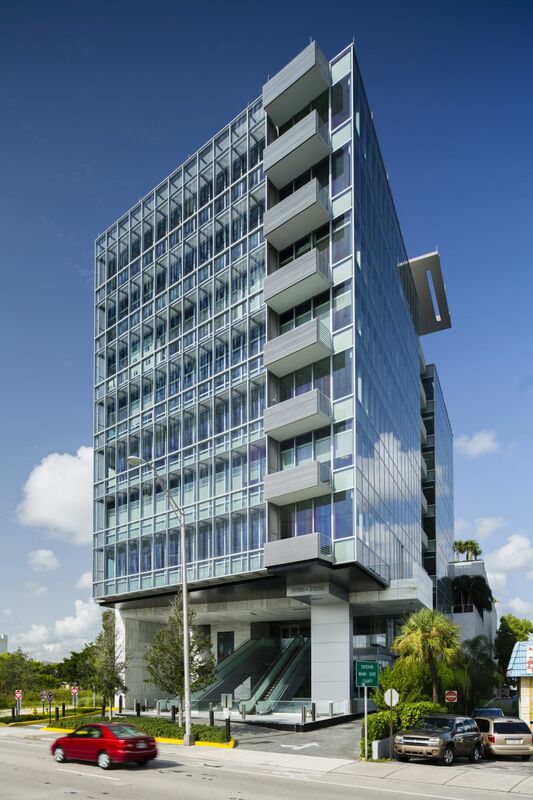 The first LEED Platinum Certified high-rise in the city and the second in the state, the 114,000 square foot commercial complex blends elegant finishes with ecological sensibility; cultivating a vibrant, striking, yet intimate workspace. 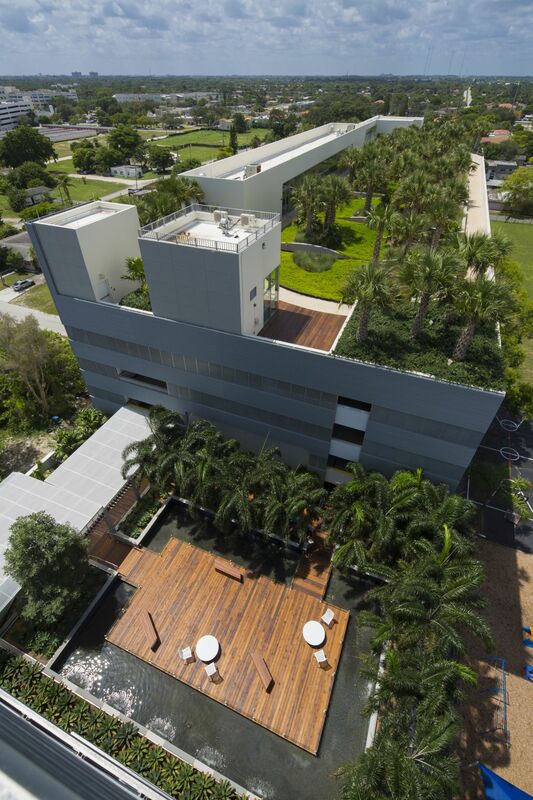 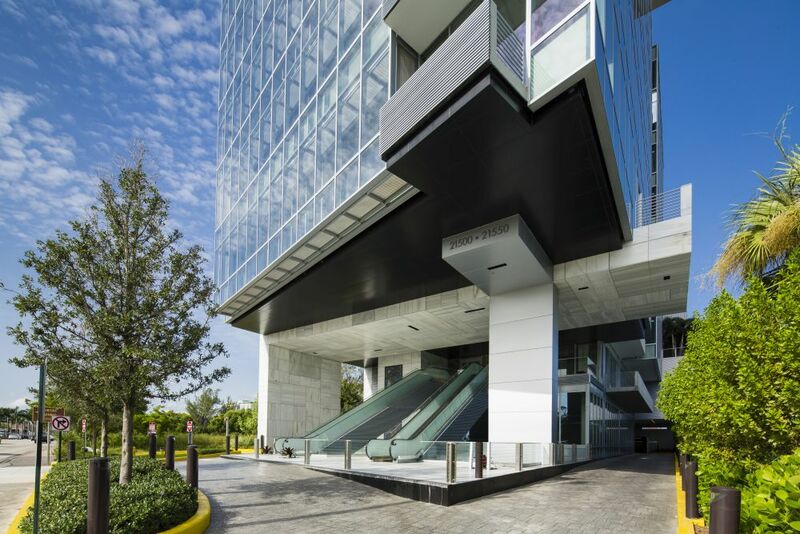 Aventura Optima encompasses a nine-story office tower and four-story medical building connected by a sprawling rooftop terrace with an eight-story parking garage to accommodate approximately 427 parking spaces. 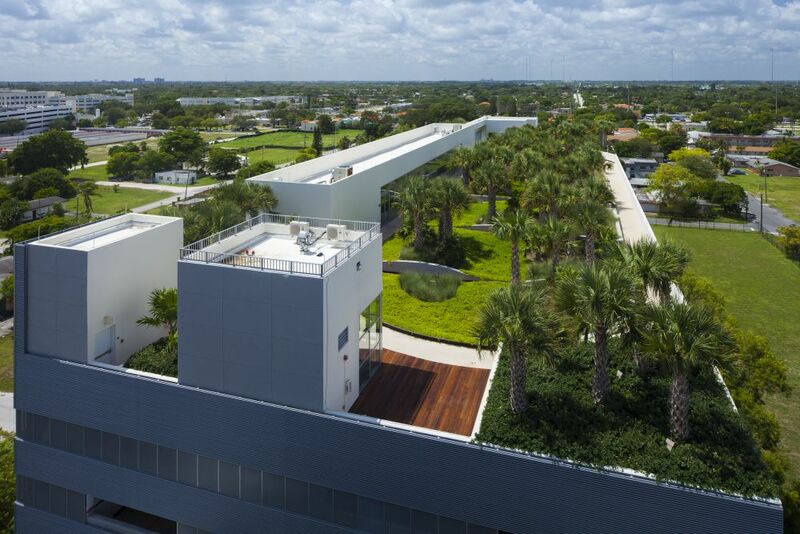 The 20,000 square foot rooftop facility showcases an outdoor jogging trail and sophisticated indoor exercise room amongst intimate green spaces and scenic views.